Historian, Phd, DSc, chief director. He has published four books and two edited volumes, most recently Etnicitás, identitás, politika. Magyar kisebbségek nacionalizmus és regionalizmus között Romániában és Csehszlovákiában 1918-1944 [Ethnicity, identity, politics. Hungarian minoirties between nationalism and regionalism in Romania and Czechoslovakia 1918-1944] (Napvilág, Budapest, 2015), and numerous articles in specialist journals (incl. SlavicReview and EastCentral Europe), volumes and media outlets on topics of history and politics of identity. He was visiting lecturer at the University of Miskolc, at Stradins University, Riga and at ELTE Budapest, „Europa” Fellow of the New Europe College – Institue for Advanced Studies, Bucharest, visiting fellow at the Imre Kertész Kolleg, Jena and at IOS Regnesburg, Fulbright visiting reserach scholar at Stanford University, Center for Russian, East European and Eurasian Studies. 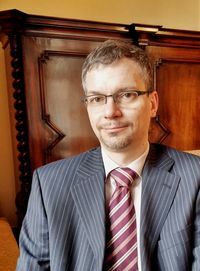 His primary research topic is history of minorities and nationalism in East-Central Europe from the 19th century, with a focus on interwar Transylvania and its regionalist political currents. In 2017 he received an ERC Consolidator grant for the project NEPOSTRANS – Negotiating post-imperial transitions: from remobilization to nation-state consolidation. A comparative study of local and regional transitions in post-Habsburg East and Central Europe. Interview with Gábor Egry, a young historian at the Institute for Political History (Politikatörténeti Intézet) in Budapest, Hungary. Interview conducted in Ithaca, NY on October 26, 2008. A Fate for a Nation: Concepts of History and the Nation in Hungarian Politics, 1989–2010. In M. Kopecek, Piotr Wcislik (eds. ): Thinking Through Transition: Liberal Democracy, Authoritarian Pasts, and Intellectual History in East Central Europe After 1989. Budapest; New York: CEU Press, 2015. pp. 505-524. Why Identity Matters? : Hungary’s New Law on Citizenship and the Reorganisation of an Organic Nation. In: Regimes and Transformations. Hungary in the Twentieth Century. Edited by István Feitl and Balázs Sipos. Napvilág, Budapest, 2005. 95–118.